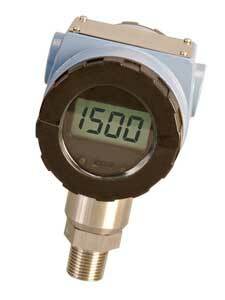 The PX762 is an industrial-grade, microprocessor-based pressure transmitter with a 2-wire 4 to 20 mA output. A rugged ceramic sensor and Stainless Steel hardware make this transducer suitable for most process fluids and gases. The built-in 4-digit LCD indicator can display the measured pressure in bar, psi, or percent of full scale. Parameters such as span, zero, and damping can be adjusted with the 2 pushbuttons on the digital display. The PX762 series is being replaced by a new model with HART comminications. It will be ready later this year. Please see the PX5100 as possible alternatives or contact our Pressure Engineering department.